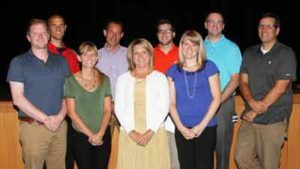 Foundation presents grants to staff - Hamilton School District. 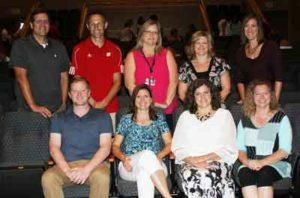 The Hamilton Education Foundation (HEF) recognized Hamilton School District staff members who received grants at the Back-to-School Breakfast. HEF granted more than $71,000 throughout the district to support technology at several schools, a middle school program teaching and modeling communication, coping and decision-making skills, fine arts experiences for high school band students, educational and leadership trips for students, materials for an outdoor classroom, along with summer school busing and training for summer training for middle school teachers. Previously known as New Horizon grants, the grants were renamed in 2016 to recognize former Superintendent Kathleen Cooke, Ph.D. who retired June 2016 after serving the district for 23 years. Staff members who applied for and received grants are below.